If you are an on-the-go urban millennial who demands premium content across various platforms in order to be engaged, especially platforms which make premium content disappear when it ceases to engage you, then great news: Snapchat has signed a $100 million deal with Time Warner to produce shows in three to five-minute segments, the New York Post reports. 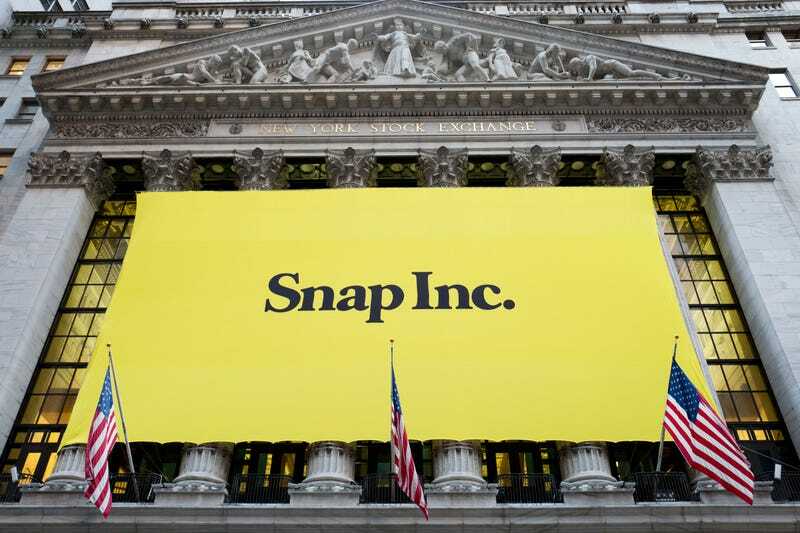 This is the latest boon for Snapchat, which has been racking up deals with media companies like NFL, BBC, Metro-Goldwyn-Meyer, A+E, ABC, and Turner over the past several months. TV shows like the Snapchat original Good Luck, America, with former CNN reporter Peter Hamby (in its second season), are taking it up a notch from Discover Channel’s usual video-fun facts by outlets like MTV and E! News. In February, SNL released its first Snapchat story Boycott (watch here if you’re reading this on a phone); a James Corden series and VICE’s Hungry Hearts with Action Bronson come up later this year. By the end of the year, Snapchat plans to air three shows a day. DO NOT PRESS THE WHITE CIRCLE and wait for help.